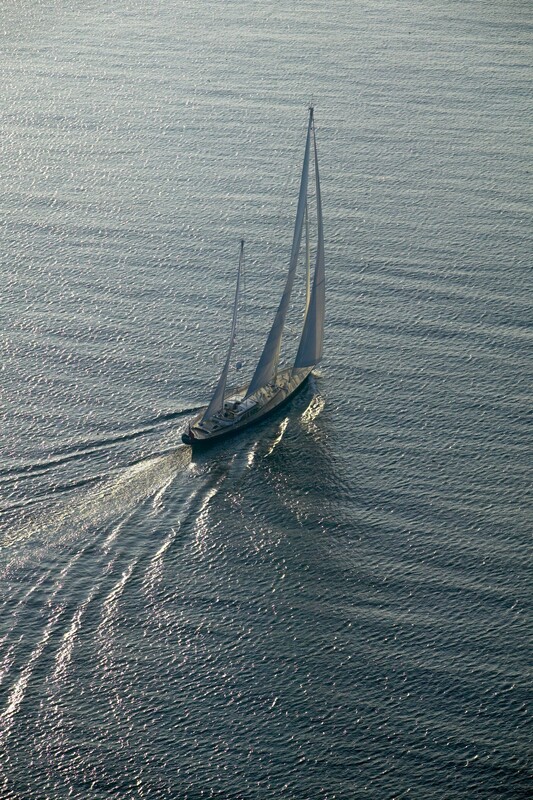 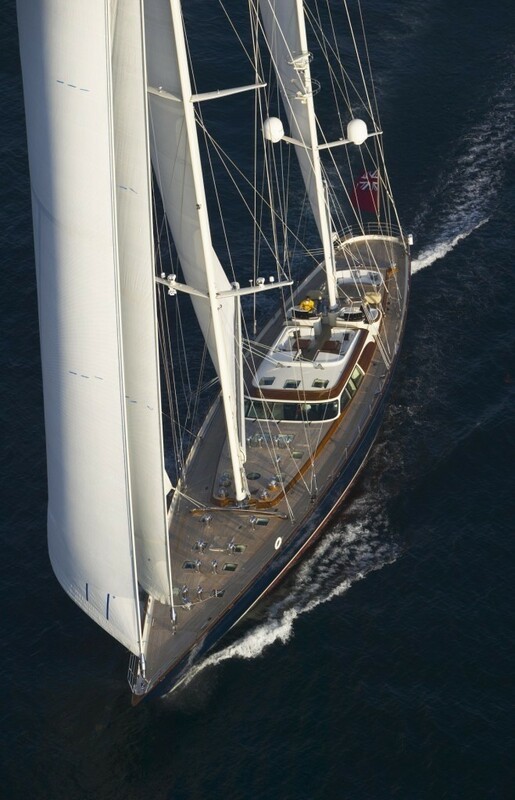 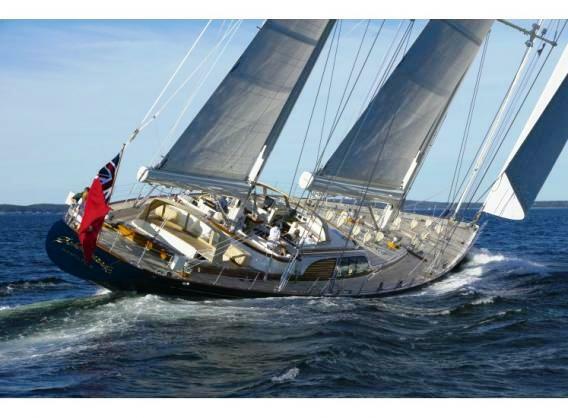 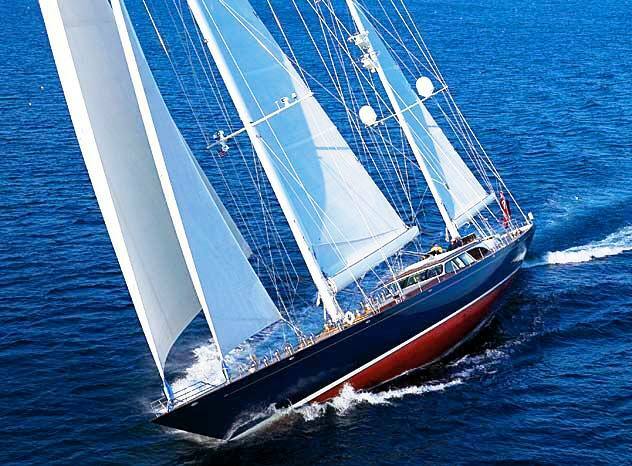 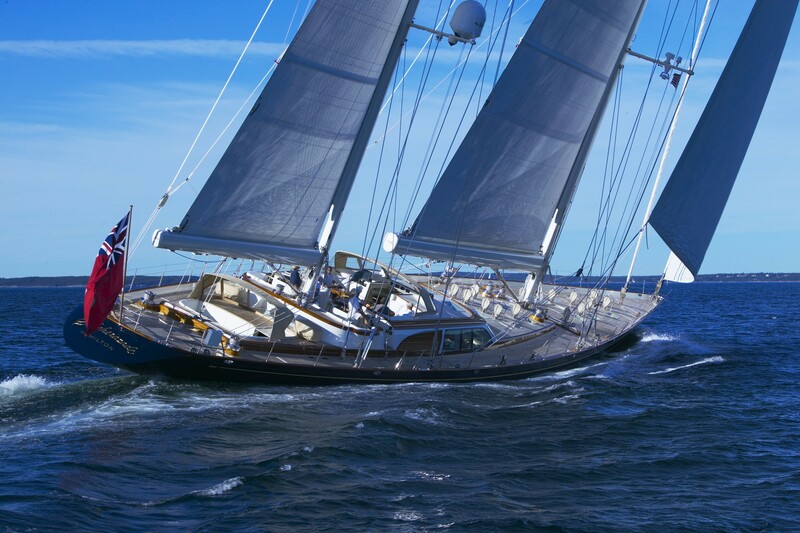 S/Y ASOLARE (ex SCHEHERAZADE) is a 2003, Hodgdon Yachts built 47m (154ft) ketch rigged luxury sailing yacht. 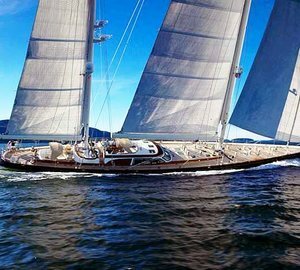 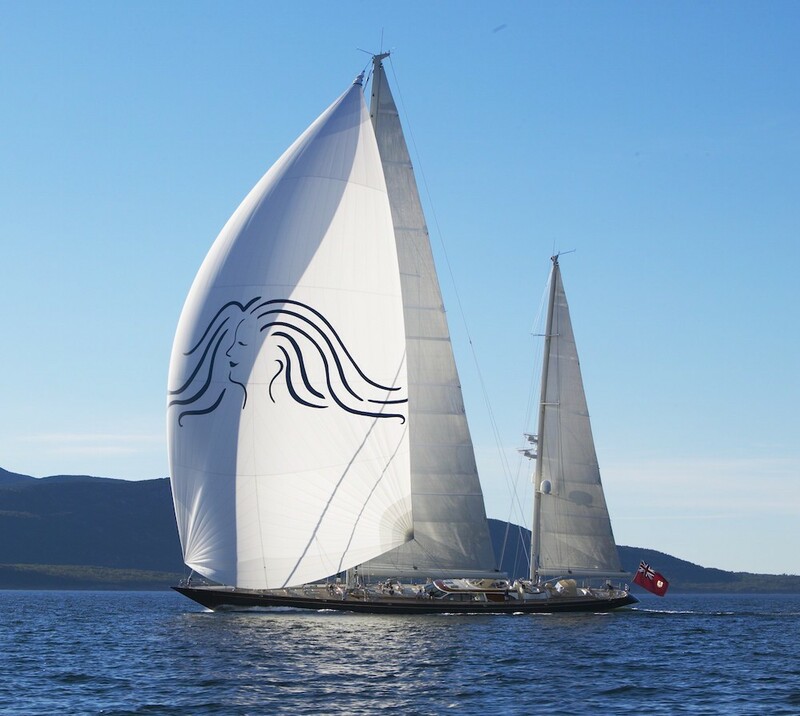 She was designed by Bruce King Yacht Design, Inc. with Andrew Winch Designs of London, England designing the yacht’s interior. 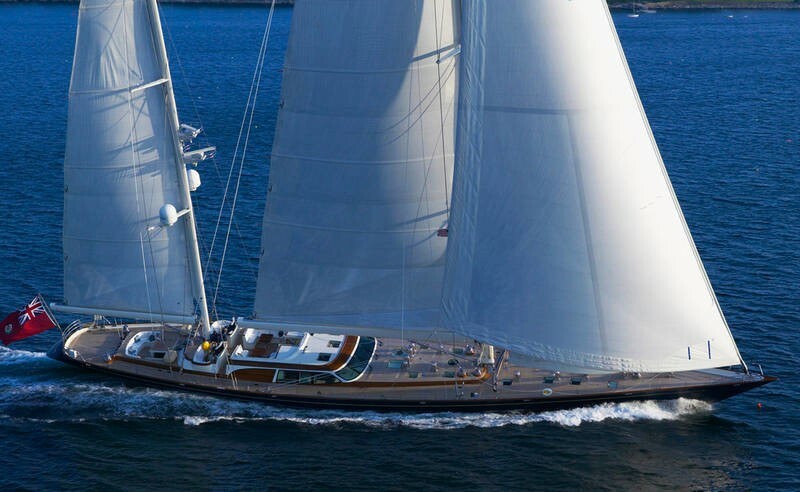 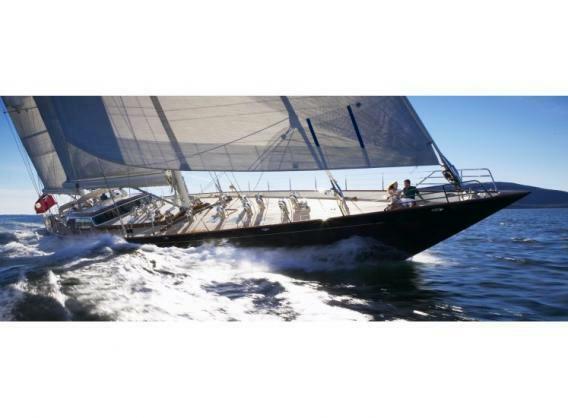 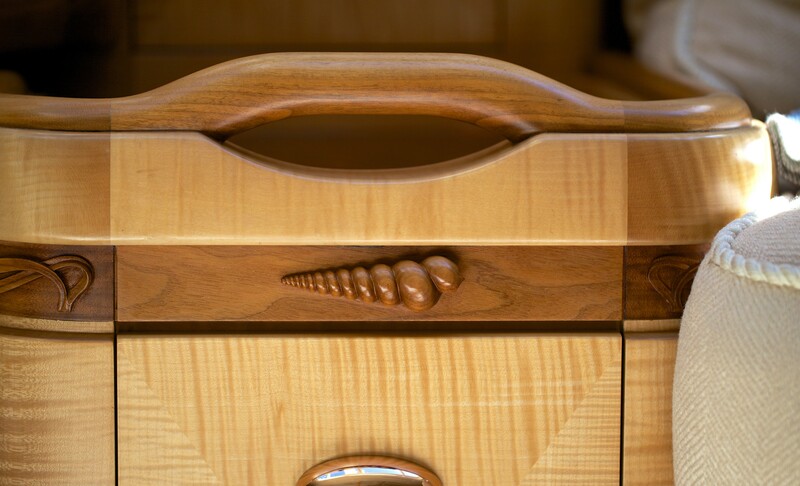 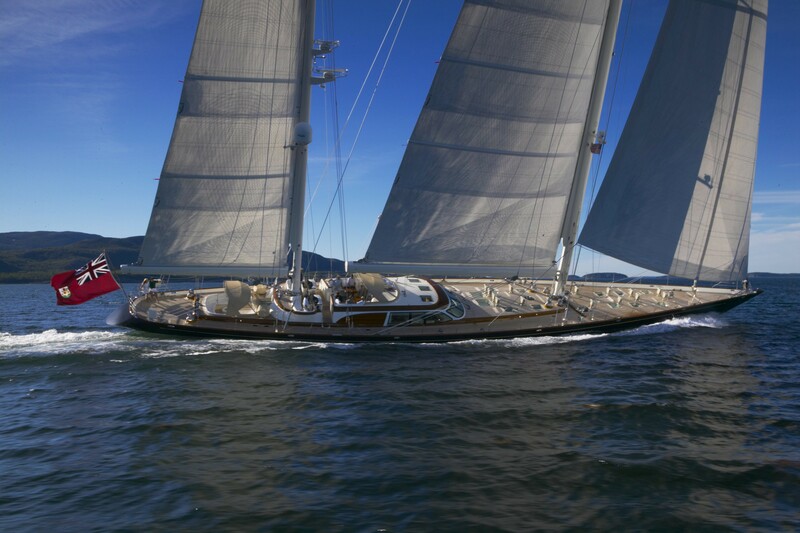 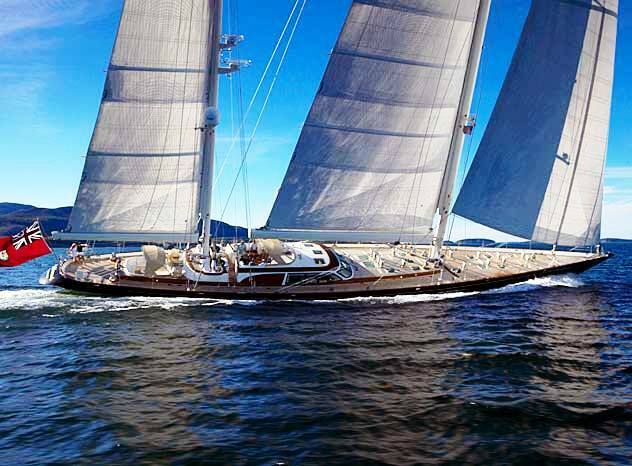 Yacht ASOLARE is a fast ketch embodying the skill and integrity of the ancient boat builder's art. 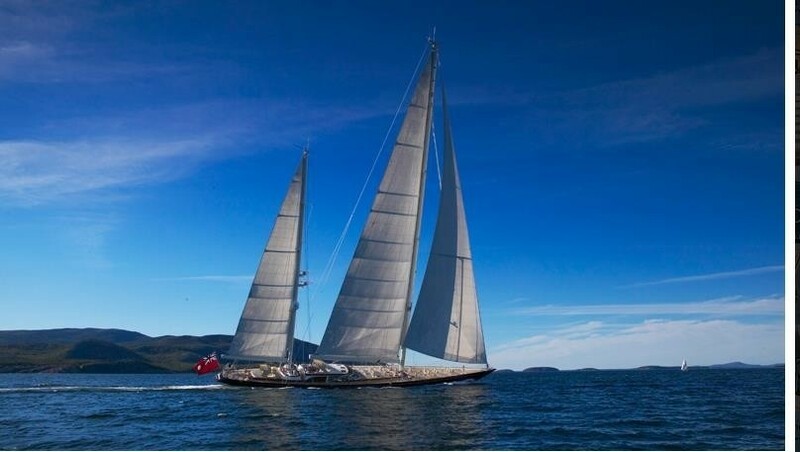 This luxury sailing yacht is classic in proportion and line, totally modern in systems and controls, she is fantastic sailing yacht with a beautiful and comfortable interior. 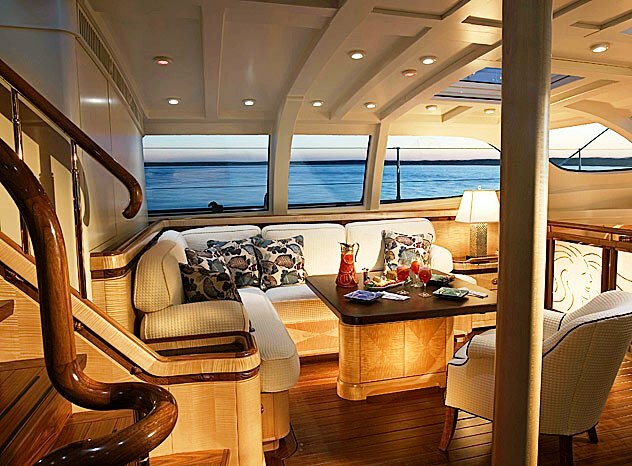 Specially formed rock-solid glass around the upper saloon offers 180-degree views. 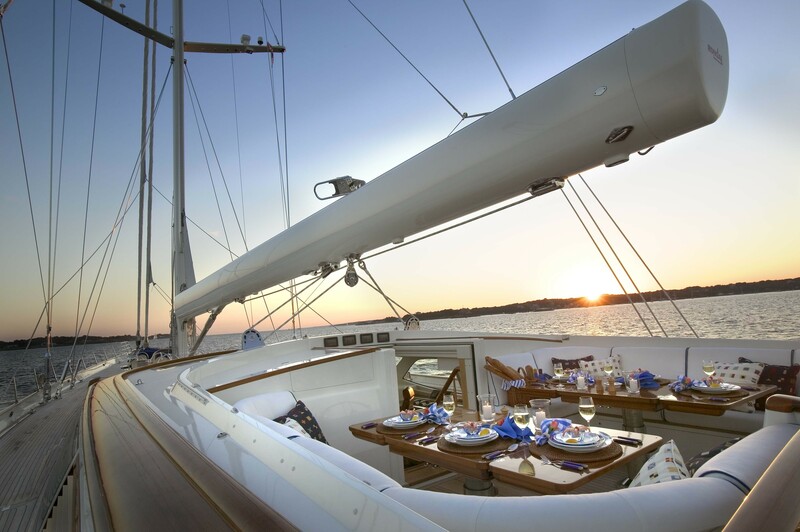 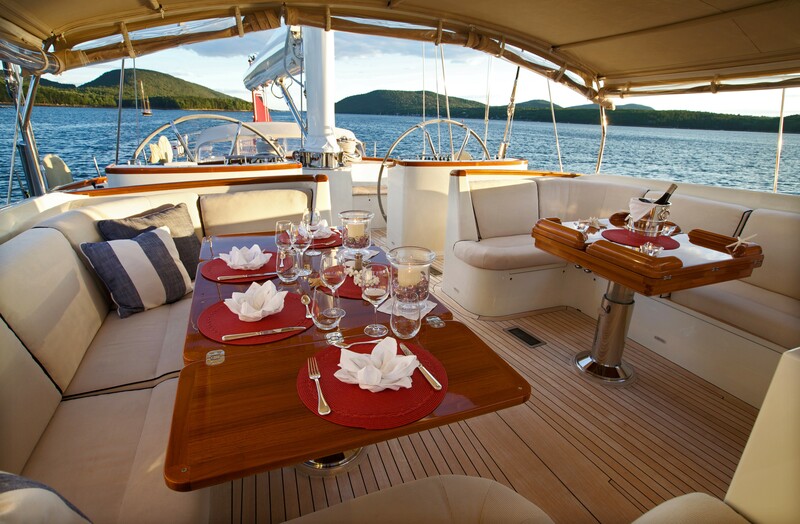 The generous deck layout provides ample room for crew and guests to move around with ease. 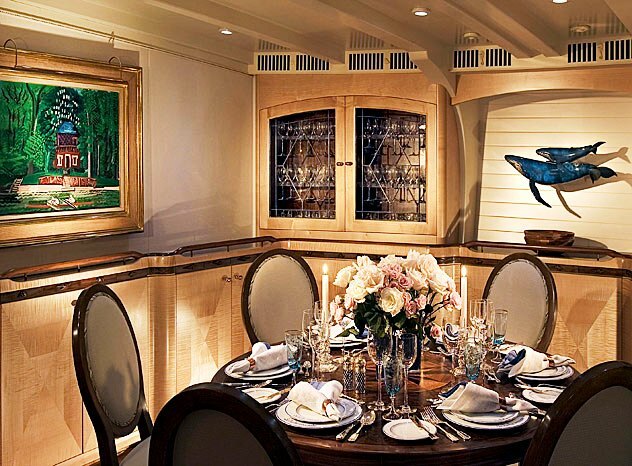 Two large tables in the main cockpit are a favourite place for sheltered dining. 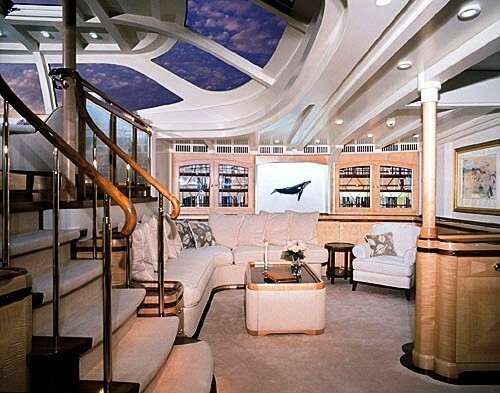 A second cockpit further aft creates a private gathering spot just a few steps up from the master suite. 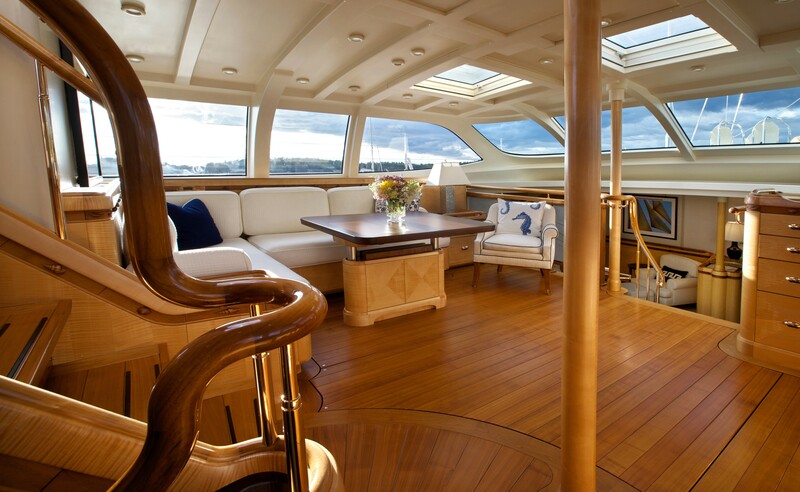 Andrew Winch’s interior was crafted from fiddle back sycamore and walnut woods. 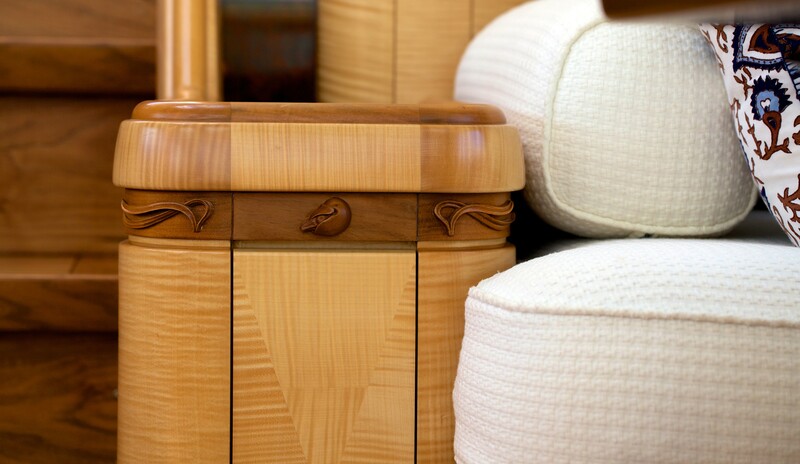 S/Y ASOLARE's furniture features harlequin book matched panels and more than 350 relief carved seashells in walnut with burled walnut furniture tops. 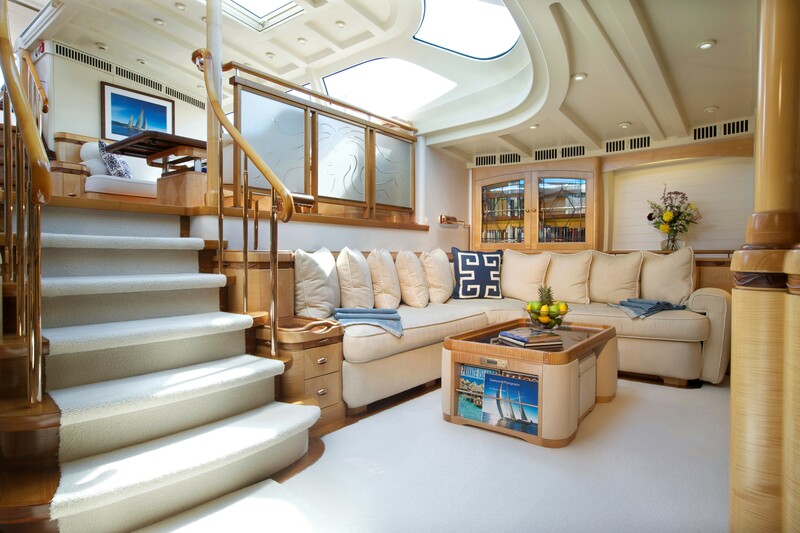 The numerous overhead ports and hatches combined with the lovely Andrew Winch interior to create an atrium-like atmosphere in the main saloon. 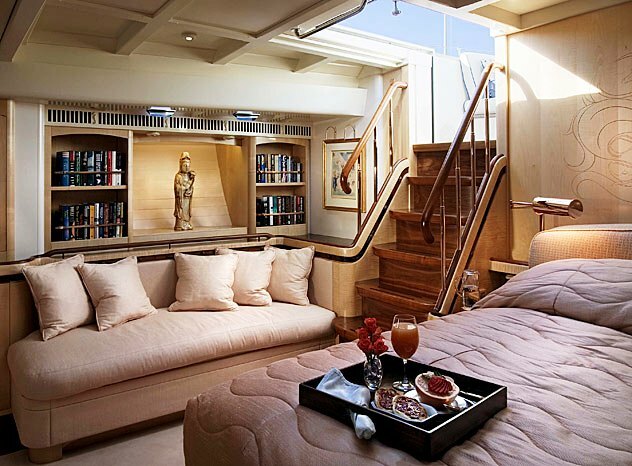 The master suite takes up the entire after portion of the yacht’s aft deck - it is a beautiful multi-cabin apartment. 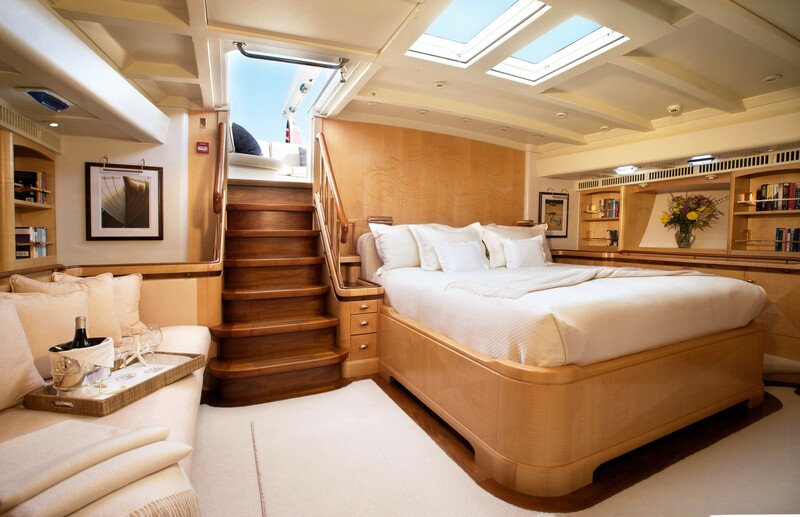 Her master suite has a king-size bed, a built-in sofa, his and hers bathroom and a staircase leading directly onto the aft private deck sitting area. 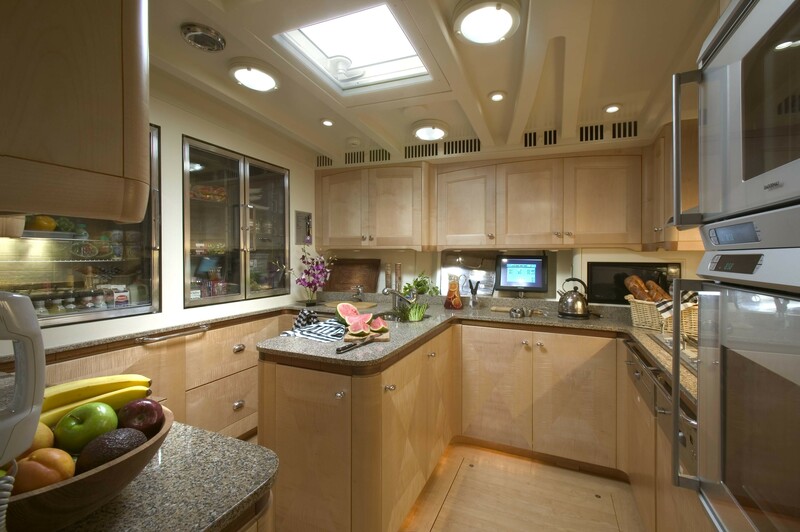 Two en-suite cabins are used as offices or libraries. 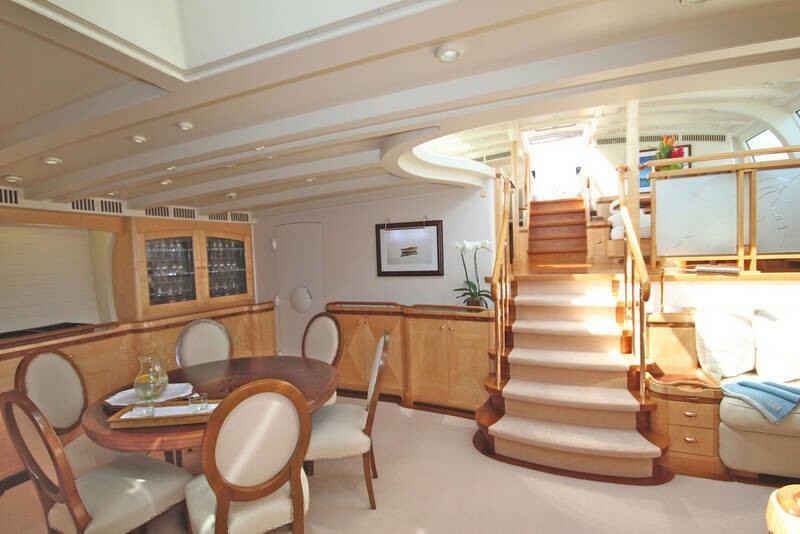 Moving forward from the yacht’s rotunda from the main saloon there are two identical twin staterooms with ample beds and en-suite bathrooms. 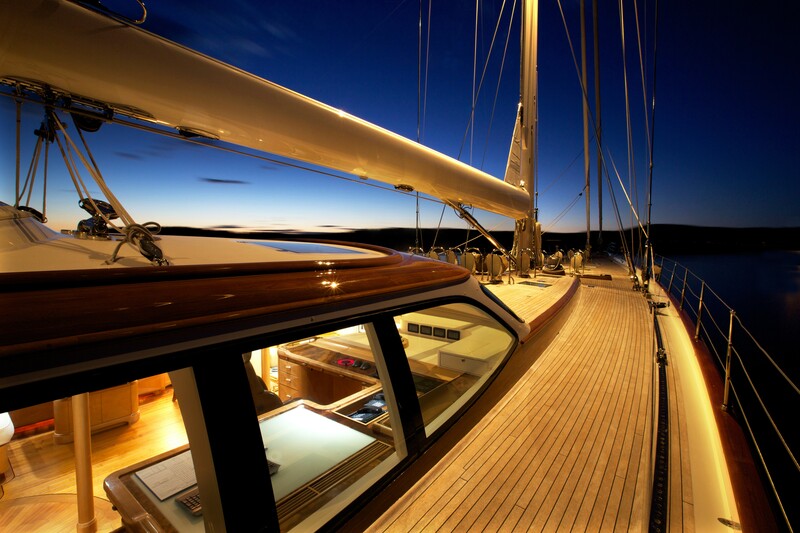 The ASOLARE yacht’s composite hull construction method has employed western red cedar wood, Douglas fir, divinycell, balsa core and carbon. 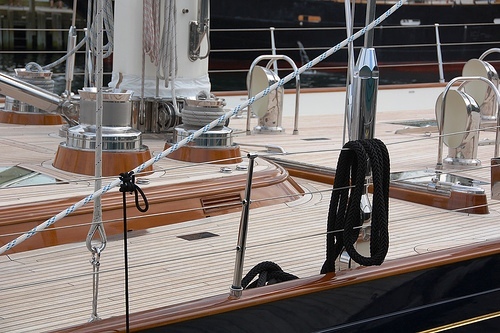 All of these materials were epoxied and vacuum bagged to create a strong, stiff and monolithic structure. 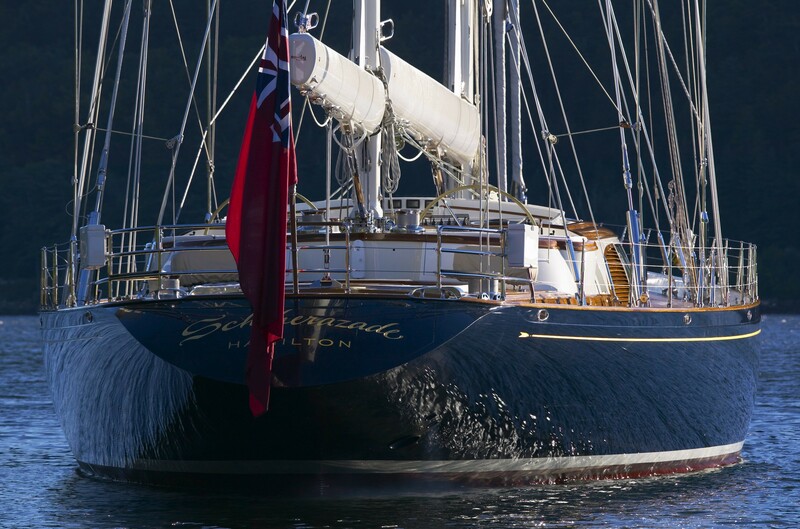 Interior has been re-varnished and new marble fitted in bathrooms, she has new Fleet Broadband 500 and 3G data system, has had a complete upgrade and replacement of navigational, electronic and computer equipment, has a new tender – Zodiac 4.8m with a 40hp Yamaha out board and most guest bedding has been replaced. 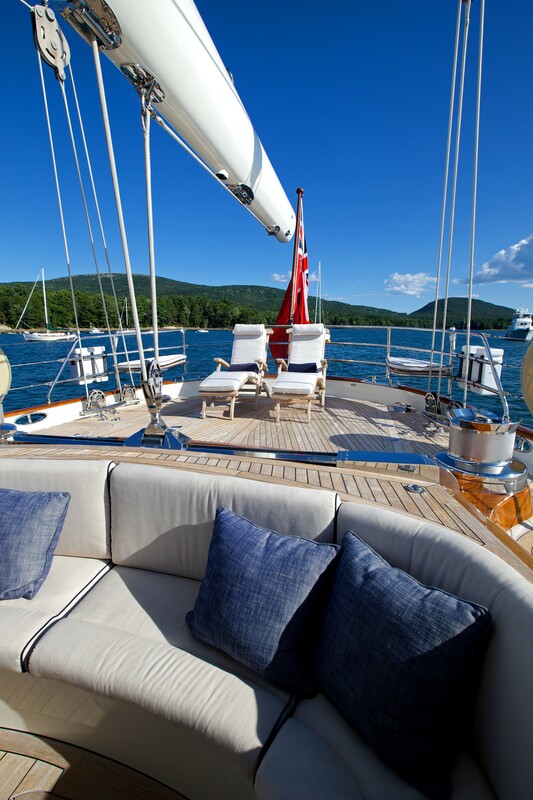 S/Y ASOLARE Guest Accommodation The master suite is a beautiful multi-cabin apartment. 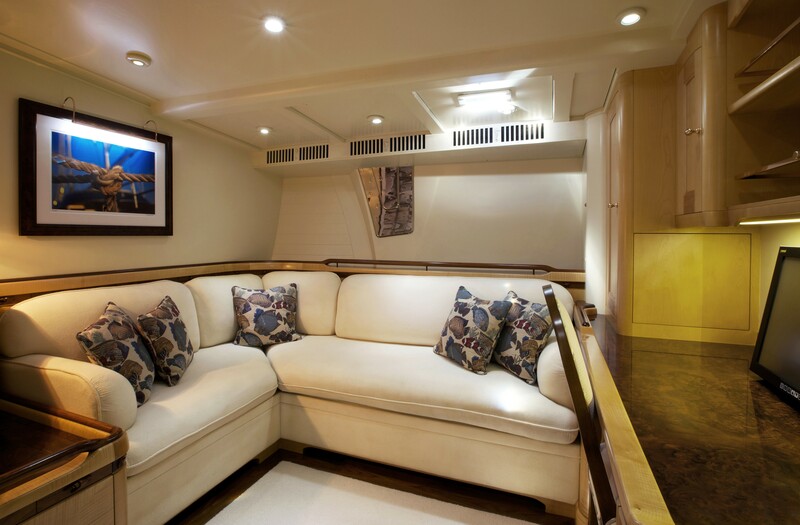 King-size bed, built-in sofa, ample storage space, and a companionway leading up to the private aft cockpit sitting area. 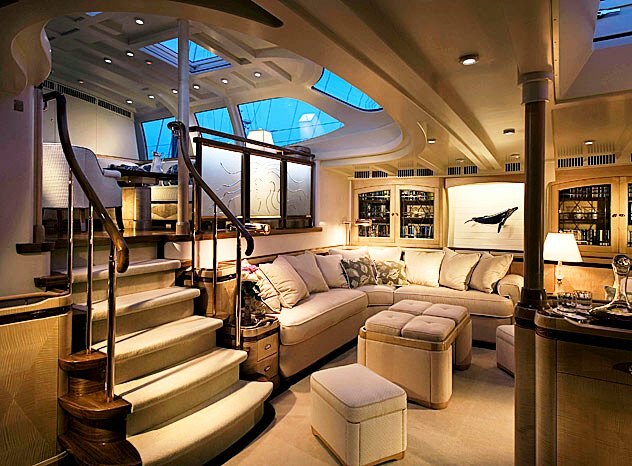 His and hers bathroom, and two ensuite cabins that serve as offices or libraries. 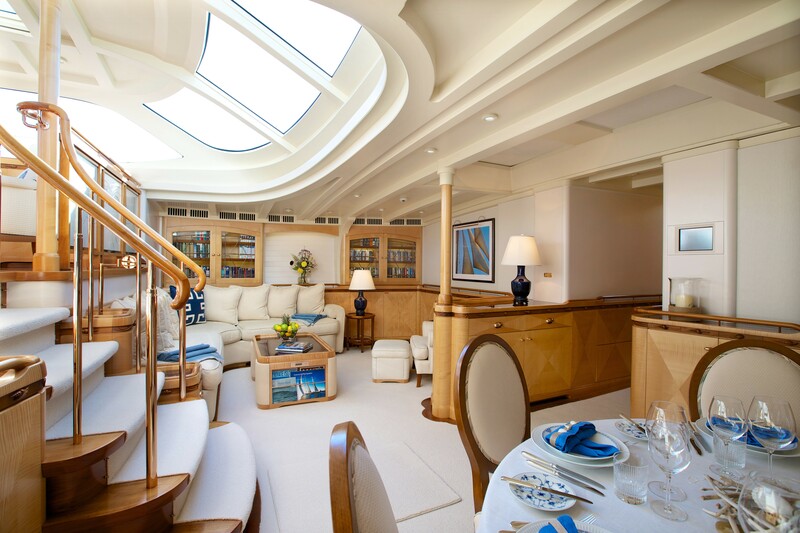 Leading from a rotunda forward of the main saloon are two identical twin staterooms with generous storage space and ensuite bathrooms. 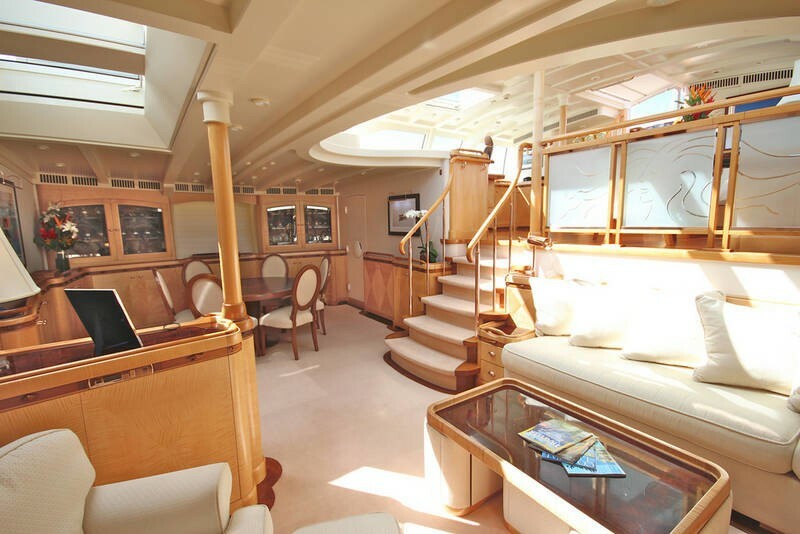 There is a child size pullman in the Port Guest cabin. 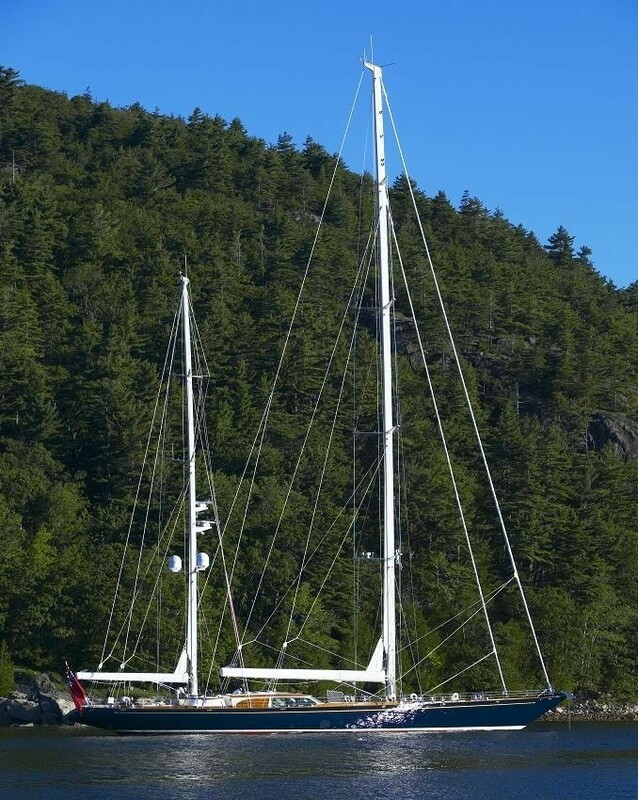 S/Y ASOLARE (ex SCHEHERAZADE) has the following: Tender: 4,2m Avon RIB inflatable, 25hp Yamaha outboard Tender: 4,8m Zodiac Mk III inflatable, 15hp Yamaha outboard Fishing gear. 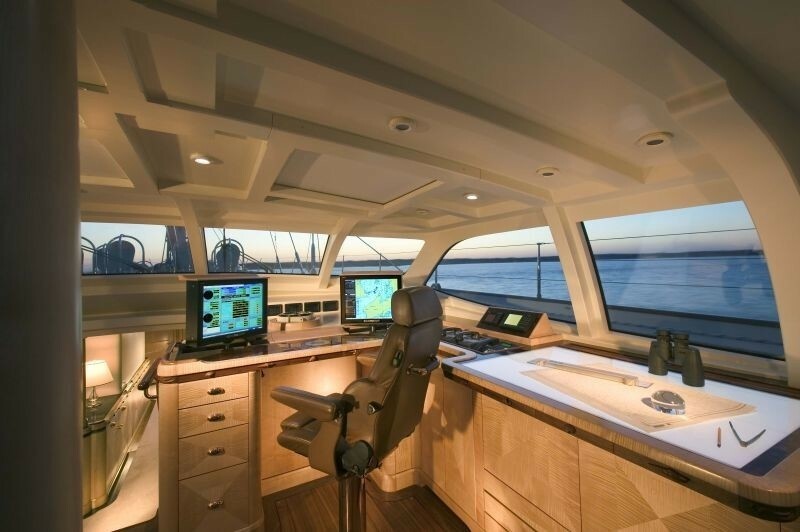 Saloon: 50'plasma TV Seatel 92 Satellite TV Audio in all cabins Central ipod station that can play all over the yacht large DVD collection.